So, I have been gone a while. Ya, I know…a long while. Well, here is what I am up to these days. 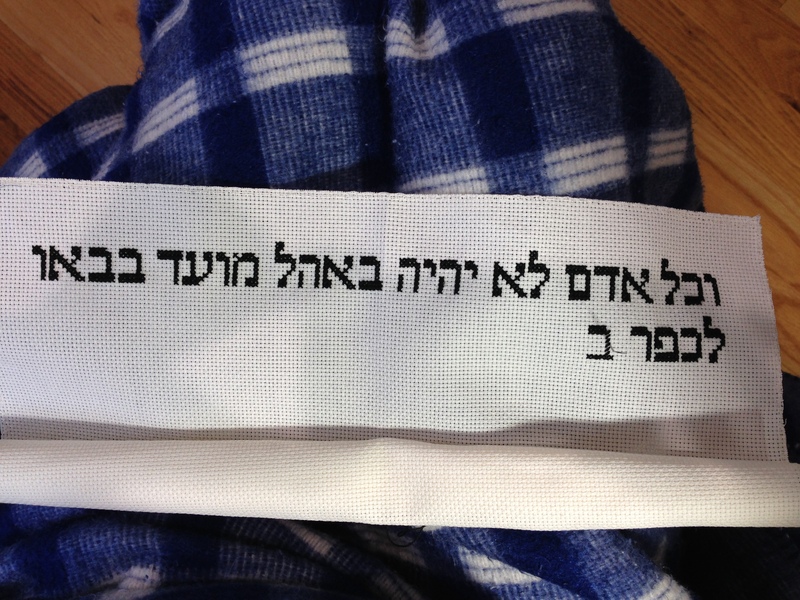 This is my panel of what will be the entire Torah stitched by people from all around the world. My verses are Leviticus 16:17-20 and it is really a fascinating experience. I should have my panel completed and mailed back within about 6 weeks, but they allow up to 6 months to complete one. Here is the link for more information on the project.